We are a group of farmers who have realised that the way we do things and the way we understand livestock are perfectly suited to Organic Production and to the current preferences of a consumer who is concerned about health and protecting the natural environment. This is why we joined forces in BIOASTUR, a farming cooperative made up of small family farms striving to make known a distinctive product of exceptional quality, produced on our own farms. These farms are spread around Eastern Asturias from the River Deva on the border with Cantabria in the east, to the River Sella in the west and Cabrales heading inland, although most of them are located in the municipality of Llanes. Constituent towns and villages: Porrúa, Parres, La Borbolla, San Roque, Piedra, Posada de Llanes, Pría, Colombres, Arenas de Cabrales, Purón and Pie de La Sierra. To maintain our way of life and the traditions of our villages and the traditional livestock rearing system based on using the meadows and mountain pastures of the Sierra del Cuera and its surrounding area, while adapting ourselves to the new production methods and consumer preferences. 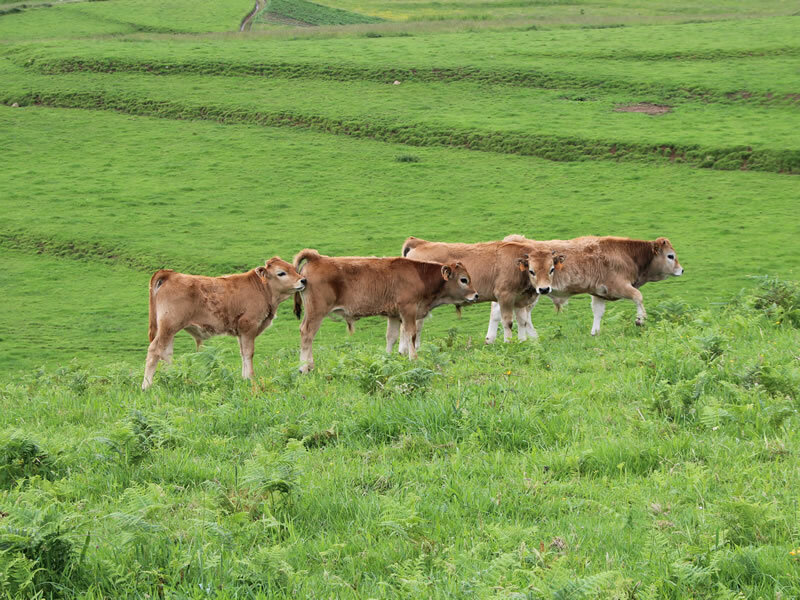 To preserve a natural environment that we are proud of (like the protected landscape of the Eastern Asturian Coast) and which provides the main source of nourishment for our animals. To provide the consumer with delicious meat whose outstanding flavour and succulence evokes the sea and mountain landscape of Eastern Asturias. Our animals are reared with their mothers on the Sierra del Cuera (a protected ecosystem) and its surrounding area, making use of the mountain pastures and feeding entirely on natural products, as endorsed by the Principality of Asturias Organic Agricultural Production Board (COPAE), which, through its inspections of the farms voluntarily adhered to the Organic Agricultural Production scheme, ensure that the most stringent quality standards are met. We work exclusively with native Asturian breeds: Asturiana de la Montaña (also called Casina) and Asturiana de los Valles which are the most suited to our climate and environment in general, facilitating their management. 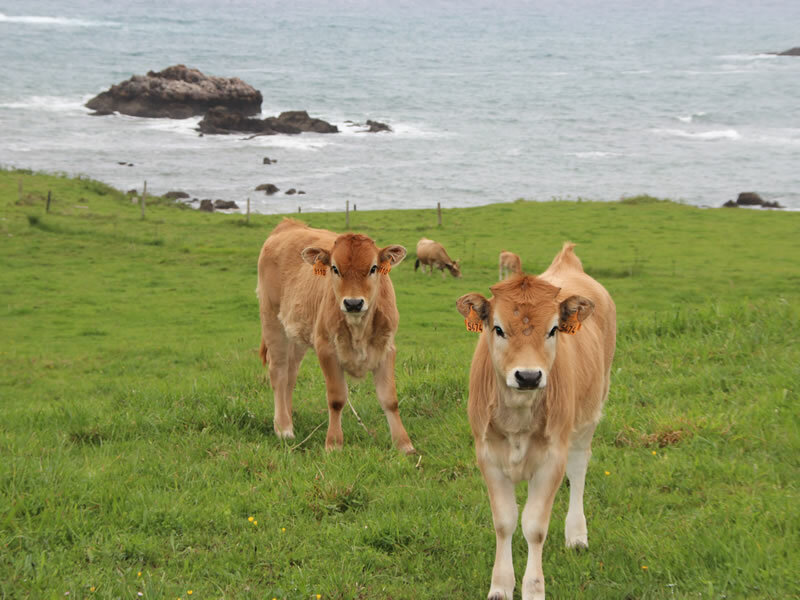 The lowland areas by the sea are grazed by the Asturiana de los Valles cows, widely known for the quality of their meat and for being well established in the Principality of Asturias. In the higher areas, we have the Casina, less well known and, due to its small size compared to other breeds used in meat production, it has almost been made extinct; it is currently recognised as an endangered species. However, the hard work and dedication of Asturian farmers, confident that its quality can compete with quantity, have kept it grazing on our mountains.